Great news gang. A very nice lady, and a wonderful friend, is being honored by The Friars Club in New York on Monday, June 4th. 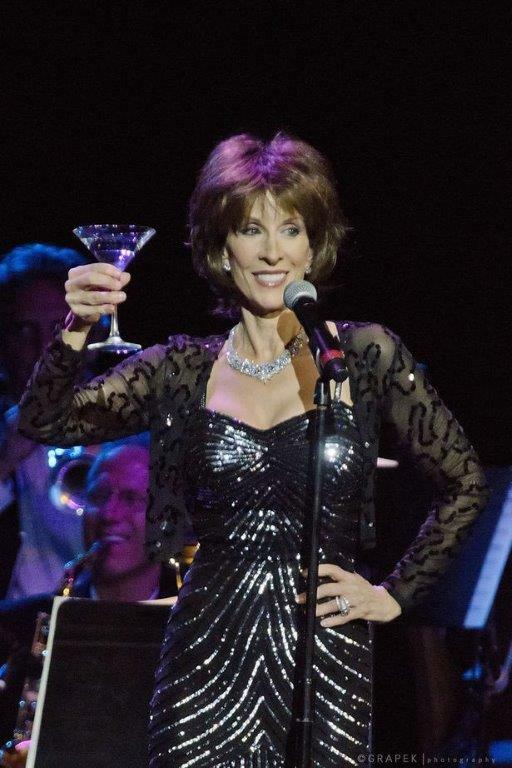 Deana Martin will be presented with the official title of “Trobairitz.” She joins a rare class of celebrity ladies who have been honored, such as Liza Minnelli, Barbra Streisand, Dionne Warwick, and Kristin Chenoweth. Now you are wondering what is a Trobairitz? Well, here is a short explanation: The trobairitz were the female counterpart of the troubadours of the medieval Occitan court. Like troubadours, trobairitz composed songs, wrote verse, and performed in the court. The most famous of these female composers is probably Beatritz, also called Bieiris de Romans, who is only known because she clearly identified herself in a poem she wrote for another woman. The works which can be confidently attributed to the trobairitz were all composed between the 11th and 12th centuries. 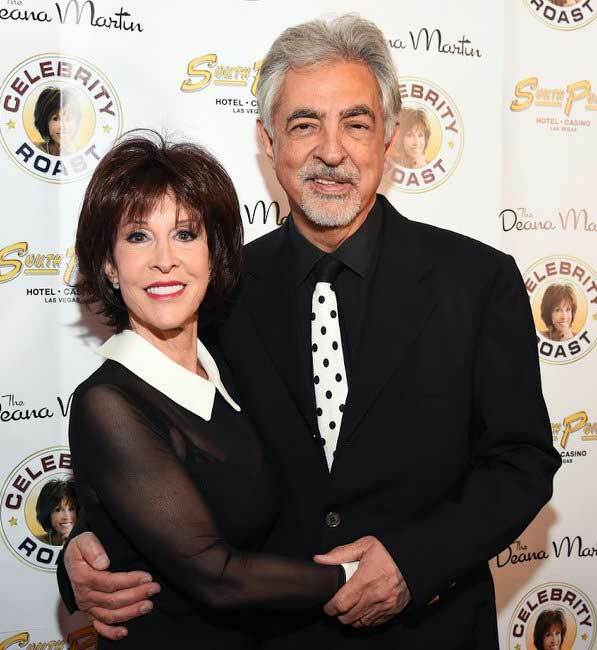 The Trobairitz title will be formally presented to her at “A Deana Martin Toast” held at The Friars Club. The Club is a private club in, founded in 1904 that hosts risqué celebrity roasts. The club’s membership is composed mostly of comedians and other celebrities, and is located at 57 East 55th Street, between Park Avenue and Madison Avenue, in a building known as the Monastery. Cocktails begin at 6:00 p.m. (EST) with a 7:00 p.m. dinner and showtime hitting the dais at 8:30 p.m.
Just a few of the special guests, who I’m sure will be making some delicately styled toasts to the honoree includes: Joe Mantegna (who was just roasted in the “Deana Martin Roast” at the South Point Hotel/Casino in Las Vegas), James Darren, Tony Lo Bianco, Steve Maglio, Mike Renzi, Sal Viviano, Richard Barone, Mike Marino, and others too many to mention. If you want to fly to New York and would like to attend, call Giuseppe Tarillo at 212-751-7272 for reservations. I have no idea what a tickets costs. But I do believe you will be royally entertained and well fed. Tickets for “The Stevie Wonder Song Party: A Celebration of Life, Love & Music,” a limited engagement at Park Theater at Park MGM August 3, 4, 8, 10 and 11 at 8:00 p.m., go on sale to the general public Monday, May 21 at 10 a.m. PT at ticketmaster.com. American Express® Card Members can purchase tickets before the general public beginning Wednesday, May 16 at 10:00 a.m. M life Rewards members and Live Nation and Ticketmaster customers will receive access to a pre-sale beginning Thursday, May 17 at 10:00. All pre-sales will end Sunday, May 20 at 10:00 p.m. To join the program or for more information, visit mlife.com. To date he has amassed 49 Top Forty singles, 32 #1 singles and worldwide sales of over 100 million units. 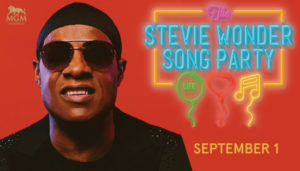 Stevie has won 25 Grammy Awards, the prestigious Grammy Lifetime Achievement Award, a Golden Globe, and an Academy Award. To help commemorate National Salvation Army Week, our local Salvation Army Southern Nevada group kicked off its Water for HOPE Campaign on Wednesday, May 16, at Huntridge Circle Park on Maryland Parkway. Joining representatives of The Salvation Army Social Services and Homeless Outreach teams at this event will be members of the M.O.R.E. (Multi-agency Outreach Resource Engagement) Team. This team, along with LVMPD, partner with The Salvation Army to help those on the streets get connected to services in our community. The Salvation Army’s Emergency Disaster Services Canteen will be on sight, offering hydration to those in the park and serving as a visual reminder of how the organization meets human needs throughout our Valley. As the temperatures rise, it becomes even more imperative to be able to provide hydration for our neighbor in need. 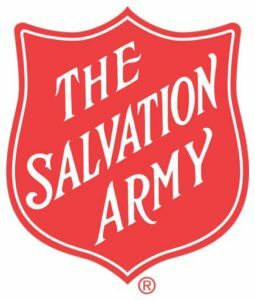 The Salvation Army has about a two-week supply of water for the people who come to their Day Shelter, a Clark County Cooling Station. According to Juan Salinas, Director of Social Services, The Salvation Army typically distributes about 1,000 bottles of water daily, meaning approximately 150 pallets of water will be distributed from their Owens Campus over the next five months, so replenishing current resources is vital. Donations of water are encouraged at the May 16 event at Huntridge Circle Park, or cases and pallets of water may be brought at any time throughout the summer to The Salvation Army Homeless Services Campus, 35 W. Owens in North Las Vegas. 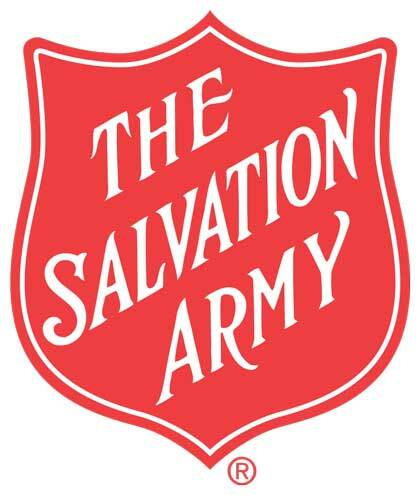 Additionally, monetary donations for the purchase of water can be made by calling Leslee Rogers at 702-870-4430 or visiting https://www.SalvationArmySouthernNevada.org/water-for-hope. 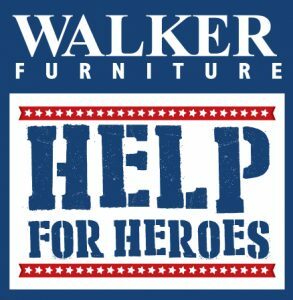 Walker Furniture is seeking recommendation letters for the company’s fifth annual “Help for Heroes” program to help wounded U.S. Military personnel and veterans in Clark County who need specialized furniture. The letters should be delivered by Saturday, June 30. The “Help for Heroes” program relies on letters from the community describing the situations of prospective recipients. 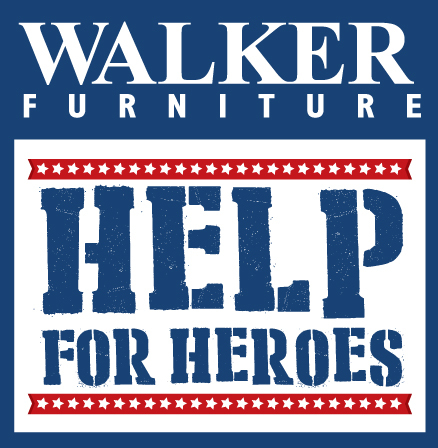 Walker Furniture will provide certain necessary items that are not generally available through the U.S. Department of Veterans Affairs, such as lift chairs, adjustable beds, new mattresses, dining sets and a variety of other possibilities. Each delivery will be specific to the needs of each recipient. Letters received by Walker Furniture will be reviewed and evaluated by an independent panel headed by Commander Tim Gomez of the American Legion Paradise Post 149. The post commander and post members will personally visit each prospective recipient to evaluate their individual needs. The furniture items will be delivered shortly after special presentation event to be held on Saturday, July 7 at the Leatherneck a Club. Letters should be sent to: Larry Alterwitz, CEO at Walker Furniture/Help For Heroes, 301 S. Martin Luther King Blvd, Las Vegas, NV 89106. 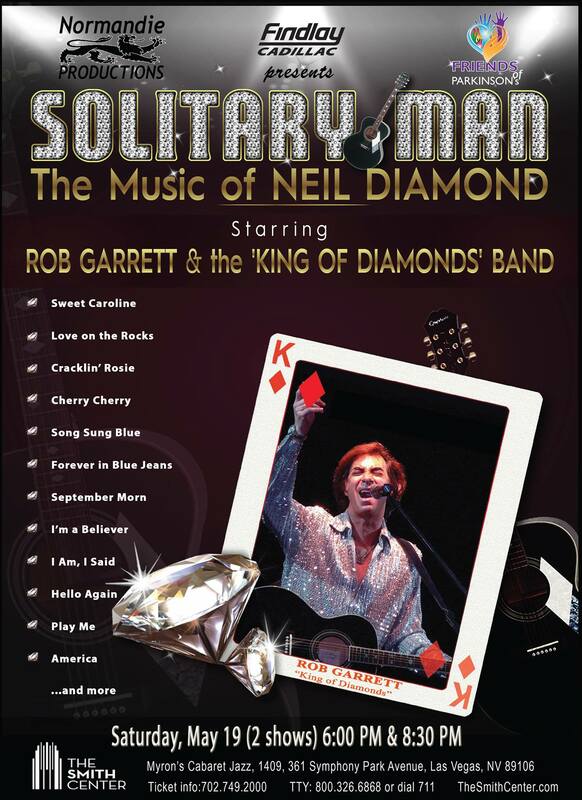 On Friday, May 25th, Rob Garrett moves back to Green Valley with his “NEIL DIAMOND – THE TRIBUTE” show at the Green Valley Ranch Resort & Casino (Grand Events Center), Henderson with a single 8:00 p.m. show. Garrett will still be making his debut at Myron’s Jazz Cabaret in the Smith Center this Saturday night, where he will perform two shows: 6:00 and 8:30 p.m. The Smith Center show is billed as, “Solitary Man – The Music of Neil Diamond,” with a percentage of the proceeds from ticket sales being donated to “Friends of Parkinson’s,” a Las Vegas group who aids in research in finding a cure for Parkinson’s disease. Like his legendary counterpart, Garrett was born in New York City, and ever since he was a kid he had two idols, Elvis, and Diamond. On July 4, 1976 he got to see Neil for the very first time, and that was with his Mother when the pair went to the Grand Opening of the Theater For The Performing Arts at the Aladdin Hotel. 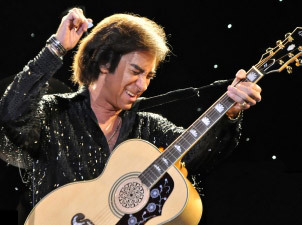 Neil Diamond was the first entertainer to perform on the huge stage, and at that time it was the largest indoor performing center in Nevada, seating some 7,500. Over the years Rob got to watch both of his heroes’ in Las Vegas and elsewhere. Elvis, he saw 18 times in Vegas, and traveled to New York City to see him five times. To see Diamond, Garrett had to travel to 16 various locations over the years. The last time was at the Forum in August of 2017 in Los Angeles. “I had no idea that would be the last time I would ever get to watch him live in America,” Garrett told me. On January 22, 2018, just two days short of his 77th birthday, Neil Diamond stunned the music world when he announced his retirement from live performances after being diagnosed with Parkinson’s disease. The “King of Diamonds” band features Billy Carmody (drums), LJ Harness (percussion), Steve Gerard, Jay Boyer (Keys/Synthesizer), Steve Henley (electric/acoustic guitar/vocals), Brett Cohen (bass/vocals), Ines Zak and Jessica Thompson (vocals).